The title says it all, ‘All-IN-1’, and they were not kidding. This device is very similar to the HooToo HT-TM05, with the addition of an SD card slot. In my opinion the RavPower filehub seems more of a ‘Trip Mate’ than the Hootoo due to the fact that it has the SD card slot in-built. I thought it was going to be larger and heavier, considering it also has a 6000mAh battery in-built, but it’s only 54mm x 97mm x 27mm and weighs 240g (half a small bottle of water) – so size and weight are already a plus. Commenting on design and build quality with RavPower products is unnecessary since both exceed expectations for such an affordable product. Once inconsistency I noticed is that the WAN and USB charging port are covered with a rubber flap – which is quite hard to remove unless you have longish fingernails, whilst the USB charging port and SD card slot are not protected at all, unlike on the HT-TM05 where all the ports are covered with an easy-to-open rubber flap. Using it as a portable charger couldn’t be easier, just plug in your charging cable – one end in your phone / tablet and the other end in the filehub and voila, automatically charging. No Power-On buttons here, the powerbank automatically detects your device and starts charging – like all other RavPower products. To use the Filehub feature one needs to download an app (AppStore or PlayStore) which feels more refined than the app required for the HooToo. It’s easy to use, less laggy and on the whole an easy experience. 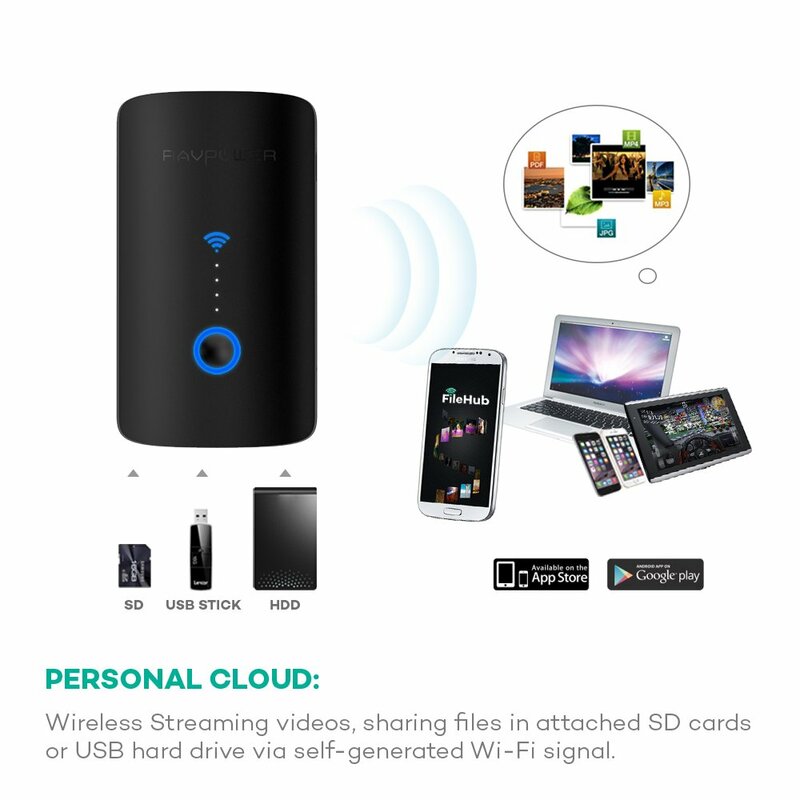 One can stream, copy, delete, rename and all the other features you’d expect from a file hub at the tap of a button. 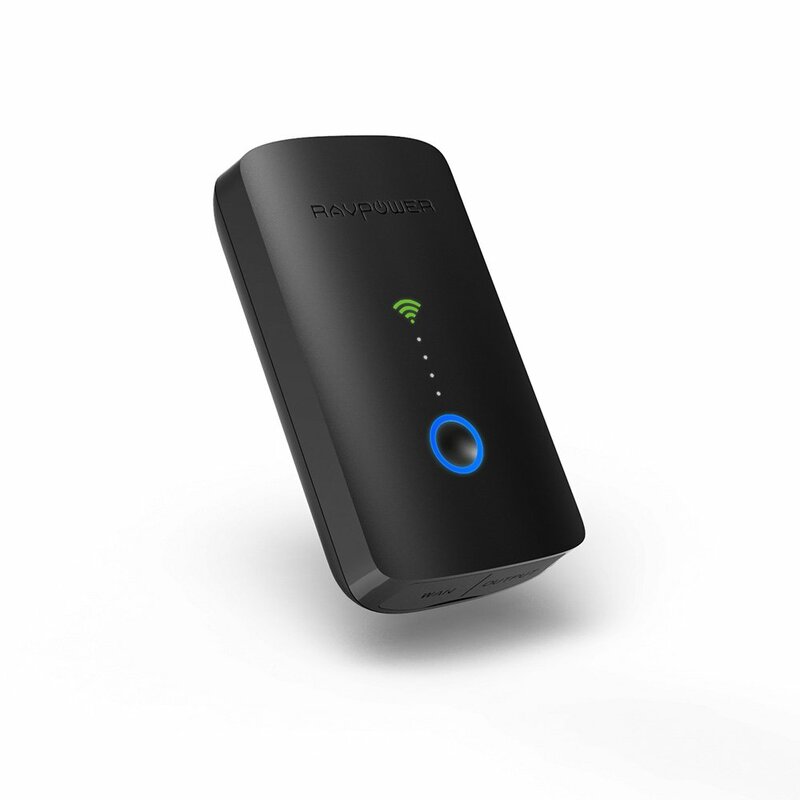 The RavPower RP-WD03 also comes with an in-built wireless router. 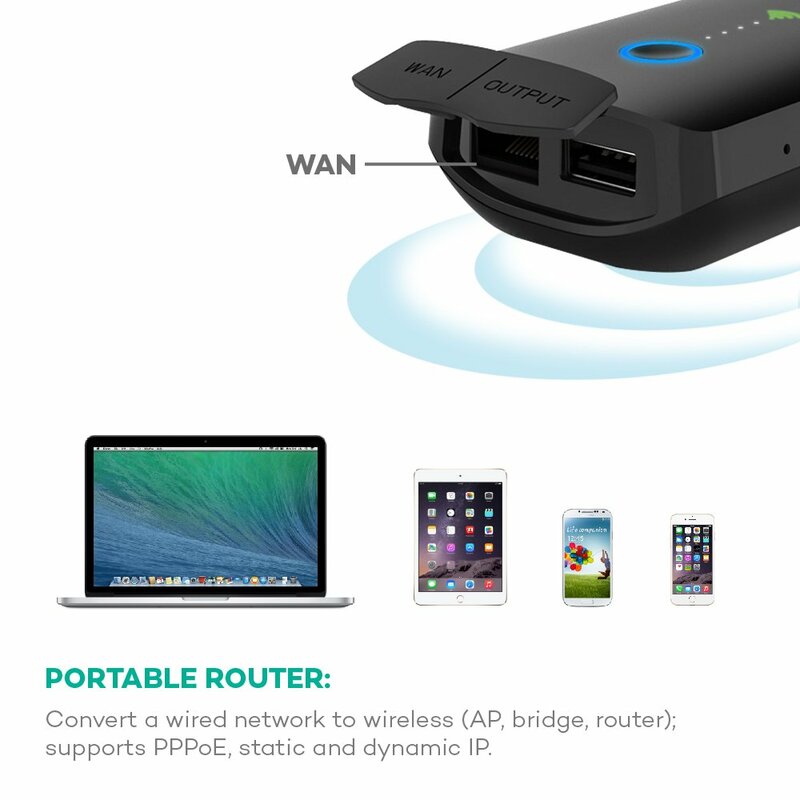 This means that if you happen to book a hotel with only a wired connection (granted, it’s rare nowadays) you can connect this gadget and use it a wireless router, AP or Bridge. Some settings are available but I suggest going through the manual to change those. If I were to choose between the RavPower RP-WD04 All-IN-1 Filehub and the HooToo HT-TM05 TripMate, I would go for the RavPower. The smaller build, the added SD card slot and sleeker mobile application sold it to me. Though I am sure that whichever one you decide you go for you won’t be disappointed. I think I might reread this post a couple times. Great information!